Weather forecasting is the application of science and technology to predict the state of the atmosphere for a given location and in the 21st-century it’s totally reliant on computer-based models. A model is a computer program that produces meteorological information for a future time. Within the model are equations that predict the future state of the atmosphere and the meteorologist who makes the forecast simply picks the best possible forecast model. Weather forecasting requires a complete understanding of the atmospheric conditions and a massive amount of computational power is required to solve the equations that describe the atmosphere. And you probably rely on your TV weatherman’s weather forecast to plan your daily activities. Astro-meteorology also uses forecast models. They’re astrological charts and three individual charts are used to judge, forecast and time upcoming weather conditions and events. The temperature chart forecasts temperature conditions and times when temperature changes can occur. There are four temperature charts each year and they’re constructed for the time the Sun enters Aries, Cancer, Libra and Capricorn. The air movement chart forecasts general wind conditions and times when changes in wind conditions can occur. 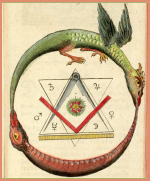 Air movement charts are constructed for the time Mercury enters a zodiac sign. The moisture chart forecasts the moisture conditions that can be expected and times when rain or rain events can occur. Moisture charts are constructed for the time of the new-Moon, the first quarter, the full-Moon and the third quarter. 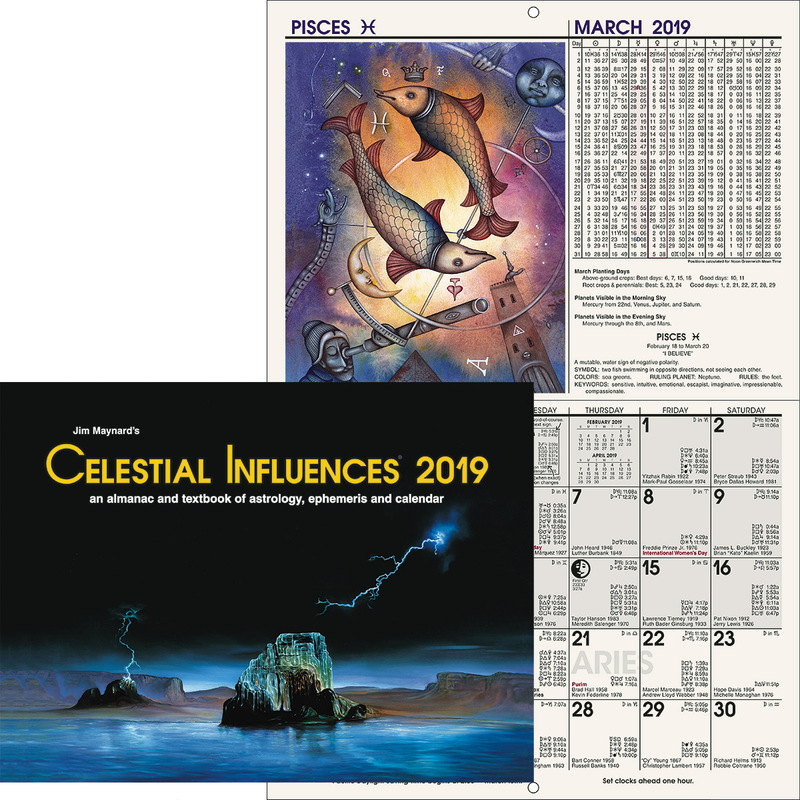 Each chart displays an astrological image — the forecast model — and the influence that each planet and zodiac sign has on the weather is fully explained in B of L Course 15 – Weather Predicting – Serial 191 – Reading Astrological Weather Charts – by CC Zain. So at any point in time there are three astrological charts influencing the weather. There’s a temperature chart, an air movement chart and a moisture chart and in each of these charts the central focus is the planets in house 4, the sign on its cusp and its planetary rulers. It has a 50% influence on the weather for the period covered by the chart. Then the first house and other factors are considered. Discord in any weather chart, as violent destructive weather, is indicated by the planets in house 4 and square and opposition aspects. The square aspect is very violent giving a very destructive trend to the type of weather indicated by the planets involved in the aspect. And weather events indicated in a weather chart occur when any planet in the chart in its forward or retrograde motion forms a transit aspect to the ascendant degree. Hurricane Sandy was a tropical cyclone that severely affected portions of the Caribbean, Mid-Atlantic and Northeastern United States in October 2012 Sandy developed in the western Caribbean Sea on October 22 and on October 24 made landfall in Jamaica. On October 25 the super-storm hit Cuba. On October 25-67 Sandy brought tropical-storm force winds and rain to South Florida and then slowly moved up the US east coast. 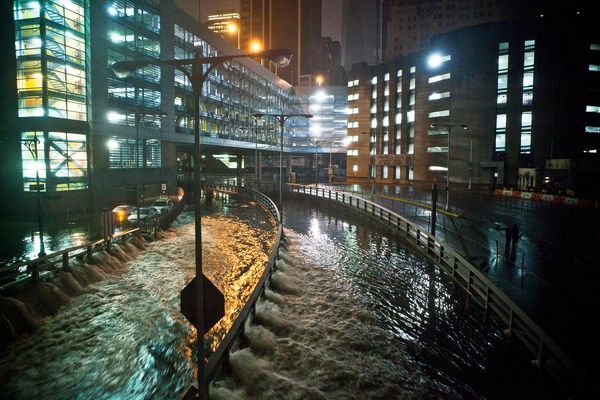 The storm made its final landfall 5 miles southeast of Atlantic City, New Jersey at about 8.00pm EDT on October 29, 2012. Sandy caused extreme devastation and claimed many lives. Its damage bill in the US was estimated at $50 billion. In diameter Sandy was the largest hurricane on record with winds spanning 1,100 miles. The Sun entered Libra at 10.48am EDT, September 22, 2012. The Atlantic City chart had Neptune — the planet of freak weather — in house 4 with cold Aquarius on the cusp. Saturn, one co-ruler of Aquarius, is in cool Libra and Uranus the other is in hot Aries. Uranus is opposition windy Mercury and square violent Pluto. 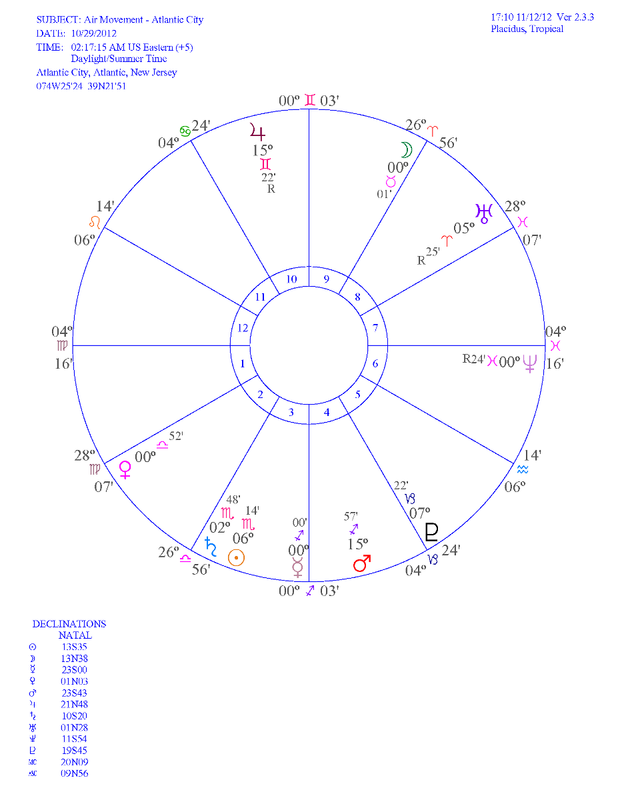 In Course 15 — Weather Predicting — CC Zain commented: ‘and (Neptune) in tornado or hurricane charts, by his presence in the fourth house….not only increases the violence of the storm, but brings unusual phenomena.’ Destructive Mars conjunction ascendant increased the chart’s violent tendencies. The chart had a net discord of 103.50 discordynes. On October 29 when Sandy made landfall near Atlantic City transit Venus (at 1 Libra 54) was semisquare ascendant, and transit Mars (at 16 Sagittarius 35) was semisextile ascendant. The chart indicates cool to cold temperatures and freak weather during autumn. Mercury moved to Sagittarius at 2.17am EDT on October 29, 2012 and Hurricane Sandy made landfall near Atlantic City eighteen hours later at about 8.00pm EDT. (The previous Mercury chart influenced the wind conditions as Sandy moved up the east coast.) In this air movement chart violent Mars is in house 4. Sagittarius on house cusp 4 is windy and its ruler Jupiter, in house 10, is in very windy Gemini. And Jupiter is opposition Mars. Windy Mercury, within 3 minutes of house 4, is cusp ruler of house 1. It’s square freaky Neptune and the ascendant-Mercury and Neptune form a T-square. The chart has a net discord of 70.21 discordynes. It’s a very violent wind chart. On October 29 transit Saturn in the chart was parallel ascendant. The full Moon occurred at 3.48pm EDT on October 29, 2012 and Hurricane Sandy hit about 4 hours later near Atlantic City. In this moisture chart for Atlantic City dry Gemini is on house cusp 4 and its ruler Mercury is in dry Sagittarius. Mercury is square freaky Neptune. Wet Pisces is on house cusp 1. Jupiter, one co-ruler, is opposition Mars and Neptune the other is square Mercury. Dry Uranus is in house 1. It looks a comparatively dry moisture chart but the Moon is in wet Taurus, Sun and Saturn are in very wet and destructive Scorpio, and Pluto is in destructive Capricorn. Saturn is opposition Moon and Pluto is square Uranus in house 1. The chart has a net discord of 110.64 discordynes. On October 29, transit Jupiter in the chart was square ascendant. The destructive storm surges — a combination of the high tide and Hurricane Sandy — are typical of Saturn and in this chart Saturn is opposition Moon. A lunation or New-Moon chart — which provides an astrological model of general events and conditions for its location during its four week time-frame — is not a weather chart but it does map a tendency for destructive weather events to occur. House 4 is again the central focus and Saturn is the planet of destructive weather events and the suffering and hardship they cause. House 1 in a global chart signifies the people (of a nation, city or town) and any planet located there indicates events and conditions of a specific astrological type influencing their welfare and wellbeing. The Libra lunation occurred October 15, 2012 at 7.01am EST. 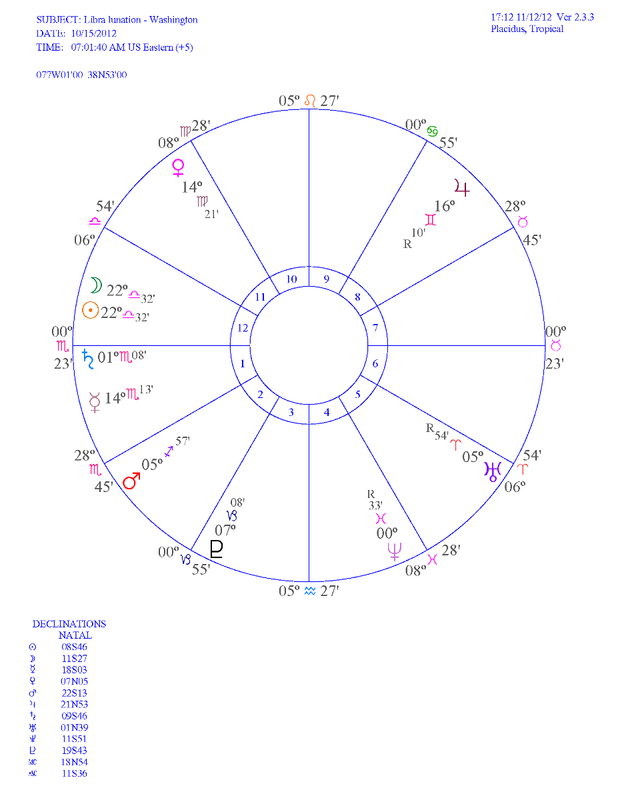 The Washington chart had Neptune in house 4 indicating a freak weather event and Saturn, cusp ruler of house 4, was conjunction the ascendant. Saturn is the storm and flood planet and its first house placement and cusp rulership of house 4 indicated that a large number of people could experience hardship and suffering due to destructive weather conditions. Saturn is the planet of loss and house 4 rules the homes of the people. Uranus, cusp ruler of house 4, rules electricity. It was square Pluto, cusp ruler of house 1, and power outages and black-outs occurred. Destructive cold and storm weather continued on after October 29. Countries experience extreme weather events, but they only occur when the progressed aspects in their charts favor their occurrence. 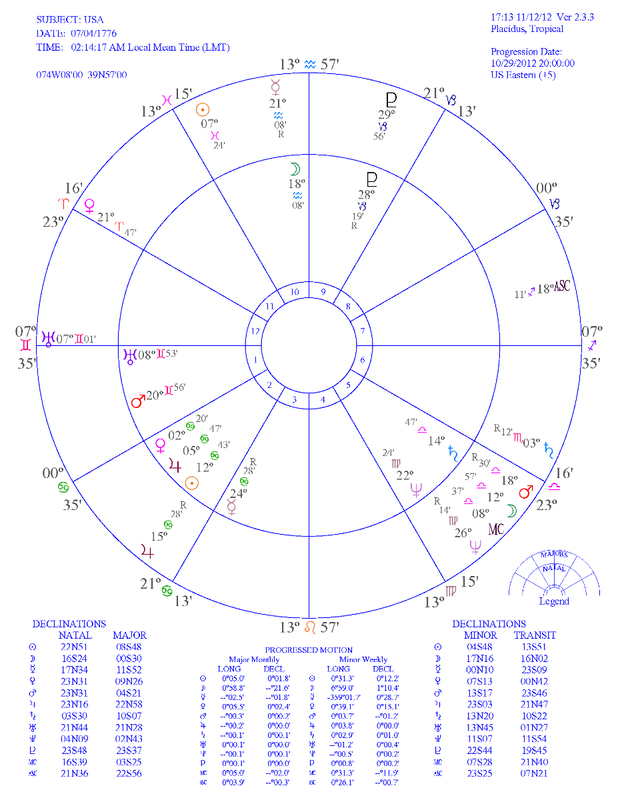 And the progressed aspects in the US chart on October 29, 2012 clearly reveal the astrology behind Hurricane Sandy and the devastation she caused. They also timed when the event was likely to occur. As in all weather events house 4 was the crucial factor. It also rules cities and the homes of the people. Saturn is the planet of loss. House 1 rules the people and their welfare, house 2 rules the financial costs and house 8 rules the death toll. 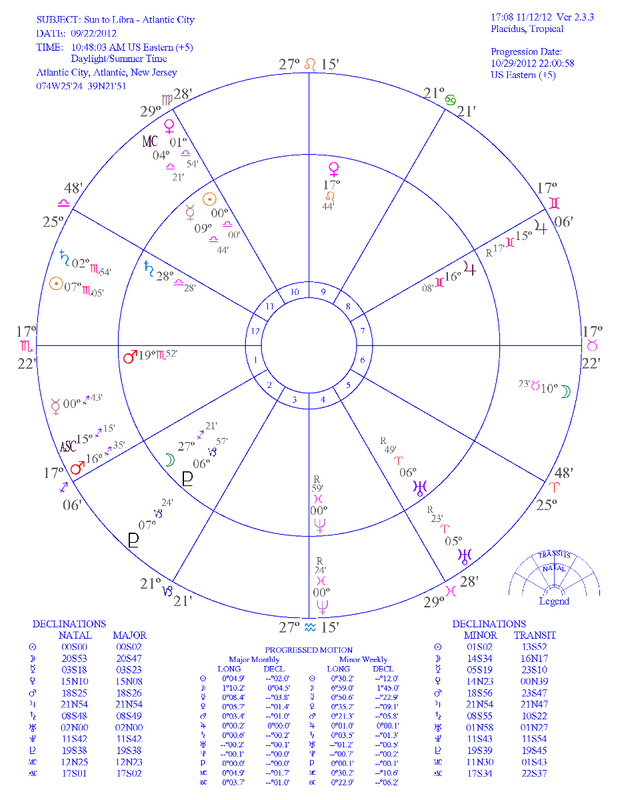 In the US chart on October 29, 2012 progressed Sun (at 7 Pisces 24) in house 10 (the administration) and cusp ruler of house 4 (Hurricane Sandy, New York City and the homes of the people) had moved to form an obstacle (square) aspect with progressed Uranus (at 7 Gemini 01) and an obstacle (square) aspect with birthchart ascendant. Uranus is the planet of extreme events and electricity and birthchart Sun is in house 2 (the financial cost). Progressed Jupiter (at 15 Cancer 28R) in house 2 (finances) had moved to form an obstacle (square) aspect with birthchart Saturn, planet of loss, in house 5. And progressed ascendant (at 18 Sagittarius 11) in house 7 had moved to form a friction (semisquare) aspect with progressed Saturn (at 3 Scorpio 12R) in house 6. Saturn is cusp ruler of house 8 (the death toll). This Sun-Uranus progression has a two year time-frame and the major events it maps can occur when either the Sun or Uranus receives added stimulation from the major progressed Moon or a minor progressed planet: And on October 29 the major progressed Moon (at 12 Libra 57) in house 5 had moved to form a square aspect with birthchart Sun in house 2. Transit Sun (at 6 Scorpio 56) trine progressed Sun and inconjunct progressed Uranus on October 29 simply released the stored energy of the Sun-Uranus progression timing the precise day the event could occur. And this wasn’t the first time that Uranus in the US birthchart had been involved in a major hurricane event. The Great Galveston Hurricane of 1900 was the deadliest hurricane in US history and the fourth costliest. It made landfall on September 8, 1900 in the city of Galveston, Texas. It was a category 4 storm with wind speeds of 145 miles per hour. The hurricane caused great loss of life with the estimated death toll between 6,000 and 12,000. The number most cited is 8,000 deaths. This makes it the deadliest natural disaster ever to strike the United States. In the US chart on September 8, 1900 progressed Mars (at 8 Virgo 54) in house 5 (weather events, Galveston and the homes of the people) had moved to form an obstacle (square) aspect with birthchart Uranus; and progressed Sun (at 13 Scorpio 40) in house 6 — the cusp ruler of house 4 — had moved to form an obstacle (square) aspect with birthchart MC. Progressed Saturn (at 26 Libra 31) in house 6 — the cusp ruler of house 8 (the death toll) — had moved to form an obstacle (square) aspect with progressed Pluto (at 26 Capricorn 53) in house 9. And the major progressed Moon (at 9 Virgo 20) in house 4 again played a key role in timing the event. It had moved to form a conjunction aspect with progressed Mars and a square aspect with birthchart Uranus. 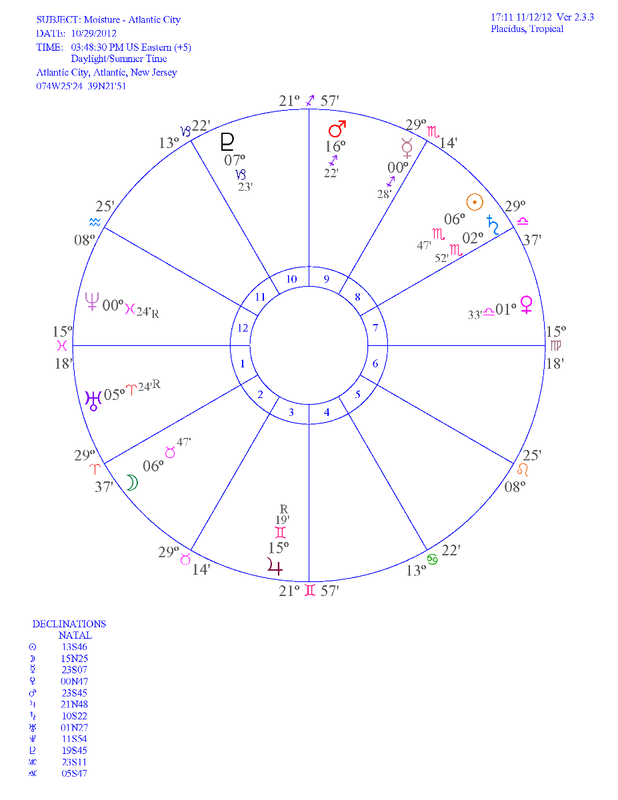 Transit Uranus (at 8 Sagittarius 39) on the day was opposition birthchart Uranus and square birthchart Mars and transit Mercury (at 8N55) was parallel progressed Mars (at 9N46) and progressed Saturn (at 8S07). So there’s astrological evidence that reveals that when the ruler of house 4 in the US chart, or a progressed planet in house 4, moves to form a high-discord aspect with birthchart or progressed Uranus that extreme weather events can occur. 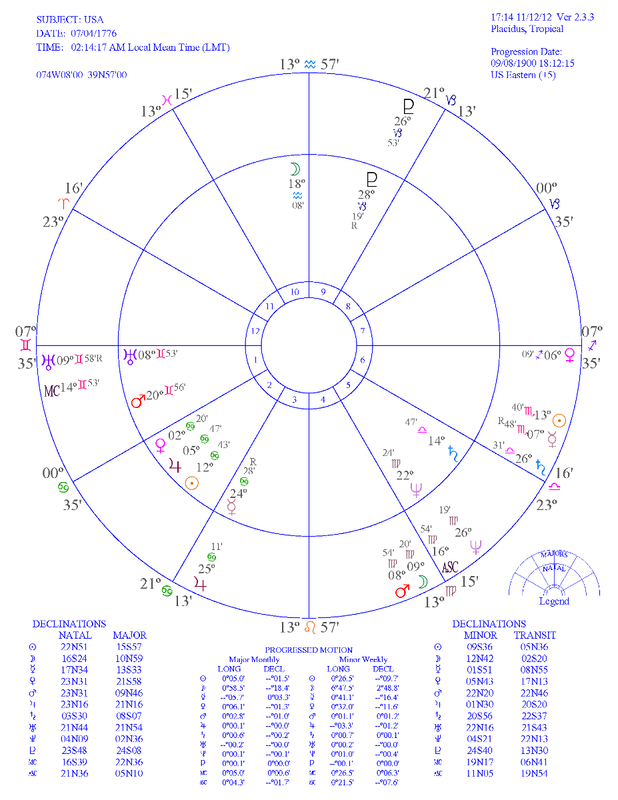 And progressed Sun, the ruler of house 4, moves to form a high discord square aspect with birthchart Uranus in April 2013. So between then and April 2015 the US can again experience extreme weather events or some other destructive fourth house event. Weather charts are excellent for developing chart assessment and predictions skills. The charts have a short time-frame so your assessment and prediction can be quickly checked with what actually occurs. 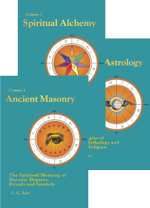 The charts are easily calculated and the assessment procedure and type of weather indicated by each planet and zodiac sign is clearly explained in B of L Course 15 – Weather Predicting – Lesson No, 191. Astrological weather charts operate in environments that have their normal weather conditions and the average temperature and rainfall conditions for your locality can be learned by contacting your local Bureau of Meteorology. Personal experience over a number of years also allows you to learn the general weather conditions your locality tends to experience. And what’s indicated in a weather chart must be read within the context of the type of weather your region normally experiences. So if you live in Los Angeles and the temperature chart indicates blizzards and snow — forget it. But the temperatures for the season under consideration will be below the average.